One day ended and another began, with hardly a note of the passing of days. Yet Jesus knew. He knew that His final day had arrived. He had no more time. The weight had settled firmly upon His shoulders. He needed strength. With the exception of Judas, Jesus and His disciples went to the Garden of Gethsemane to pray after their Passover meal. Jesus took His three closets disciples - Peter, James, and John - and went farther into the garden. 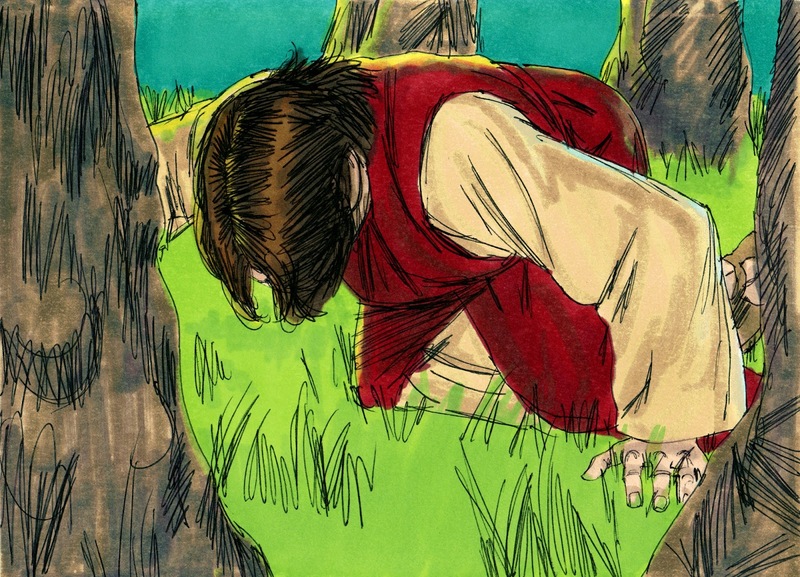 But He left them and went even further into the garden on His own, until he collapsed in prayer. Jesus knew what was coming, yet He was still human. He did not want to died. Did not want to suffer as He knew He would. He spoke to His Father, just as we would speak to our fathers in a loving relationship. Jesus asked for another way. He asked to spared. Yet above all, Jesus wanted His Father’s will to be done. He wanted salvation for all mankind. The disciples did not stay awake and pray with Jesus. Their lack of discipline hurt and upset Jesus. Jesus needed their comfort, their prayers, and, although they did not yet know it, so did they. 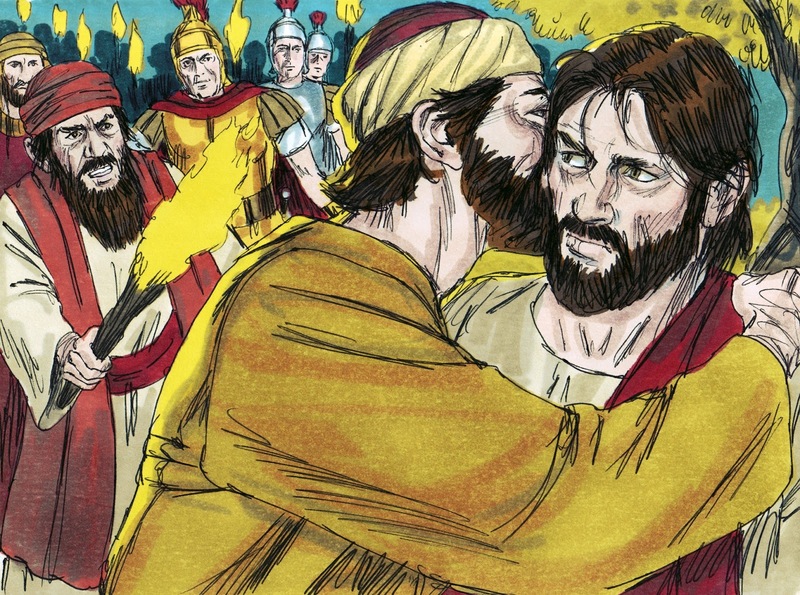 Judas soon approached, leading an army, and kissed Jesus, signaling the man they were to arrest – illegally. Jesus would allow no violence on His behalf; that was not His way. If He had wanted, He could have called on the angles, of which one could destroy all those who stood ready to arrest Him. In fear and confusion, the disciples fled. They did not know what to do! They did not know what to think! Jesus was taken before the Sanhedrin - the executive, legislative, and judicial branch of the Jewish government. Jesus' trial was conducted in secret, at night, at the high priest's house – all illegal. Peter had followed Jesus discreetly, to the courtyard of the home of the high priest, where he denied knowing Christ three times, fulfilling what Jesus had said earlier. During Jesus' trial, He refused to speak in His defense. What could He say? They had witnessed the miracles He had performed. They had heard the truth He spoke. And they continued to deny Him and who He was. Nothing Jesus could have said would have convinced them of the truth. The Sanhedrin brought forth false witnesses against Him – again illegal. However, the witnesses were unable to agree upon His crime, which is required by Jewish Law. Out of desperation, the high priest, Caiaphas, forced Jesus to answer if He was the Son of God, the Christ. Jesus acknowledged the truth. The Sanhedrin erupted at His remark. "Blasphemy!" they cried! They tore their clothes and immediately sentenced Him to death – again illegal. The Sanhedrin, however, did not want to be publicly responsible for Jesus’ death. They handed Him over to Pilate, the Roman governor, and made up charges which included high treason against Rome, in order to have Pilate sentence Jesus to death. Pilate would have known of Jesus, if he had not seen some of His miracles, or the results of His miracles. He heard the charges against Jesus, which the Sanhedrin had expanded to include high treason against Rome, as Rome did not recognize blasphemy as a criminal charge, much less a capital crime. Jesus, to Pilate's amazement, said nothing in His defense. Pilate was unable to find a crime of which to convict Jesus. Upon learning Jesus was from Galilee, Pilate sent Him to Herod. This pleased Herod, who wanted to see Jesus perform a miracle, however Jesus refused, knowing Herod had not interest in the Truth. Herod sent Jesus back to Pilate who informed the Jewish leaders that neither he, nor Herod, had found any basis for their charges. Instead of releasing Jesus, Pilate showed his weakness, and turned the decision over to the people. It was customary to release one prisoner during the Passover. Pilate attempted, three times, to have the people choose Jesus. Instead, the people demanded that Pilate release Barabbas, a murderer. Pilate handed Jesus over to be flogged with whips that had hooks, lead, and pieces of bone attached to the end. The whipping would tear out chunks of flesh, sometimes to the bone. Not everyone survived a flogging, but He did. His time to die, though rapidly approaching, was not yet at hand. After His flogging, Pilate again presented Jesus to the people, hoping that their thirst for blood would be satisfied. Pilate knew Jesus was guilty of no crime and did not want to have Him killed. The people again demanded that Jesus be killed. Jesus was taken by Roman soldiers and mocked. A crown of thorns punctured His head. The wounds on His back were re-opened as the soldier first draped a robe over Him and then ripped it off. Pilate appealed to the people again. Surely they did not want to kill Him! "Crucify Him!" came the cry. Pilate, more interested in maintaining power than in justice, had no choice if he was to remain in control of Jerusalem; Jesus was handed over to be crucified. On the way to the hill in Calvary, while being nailed to the cross, while being hoisted into the air, while hanging, painfully, on the cross, Jesus was mocked. He was ridiculed. He was insulted. It would have been so easy. With a word, Jesus could have had a legion of angles, six thousand, at His service. He could have been lifted off the cross, cared for, healed. His enemies could have been utterly destroyed. It was just one word away from happening. Jesus remained silent. From the sixth hour until the ninth hour (approximately 1 pm to 4 pm), darkness covered the land. God the Father had left Jesus, His Son. Jesus took upon Himself all the sin in the world: past, present, future. He took upon Himself all of my sin. He took upon Himself all of your sin. He took upon Himself all the sins we have not yet committed. And He faced it alone. Sin cannot be in the presence of God, so God left His Son. At the end of the ninth hour, Jesus died. 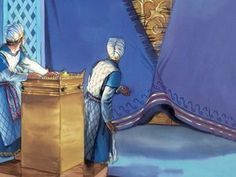 At the same time, in the temple, the curtain separating the Holy of Holies from the rest of temple split in two, from top to bottom. The split came from God, not man. No more would man have restricted access God. There was little time in the day left to bury Jesus. His followers and supporters needed to act quickly. At great risk, Joseph of Arimathea, a prominent, wealthy member of the Sanhedrin, asked for Jesus' body. Joseph did not want Jesus' body to remain on the cross for the birds to eat. Joseph provided a tomb, into which Jesus was placed, after being ceremonial prepared. Two women, both named Mary, watched Jesus being placed in the tomb. They planned to visit after the Sabbath. A large, heavy stone covered the entrance to Jesus' tomb, which required three or four men to move. Roman guards were posted so that no one could steal the body. The stakes were high, for the guards would forfeit their own lives if Jesus' body was taken. Jesus' followers returned home. Nothing more could be done until after the Sabbath.